Film Photography Lust: What I'm Reading - "Photojournalism"
Not only do I like to take photographs, I also like to read about photography. I like to read about techniques, the history, photographers, the photographs themselves, etc. It's just cool, and often I do more than simply look at the pretty pictures. I often make a monthly or more trip over to the local Half Priced Books book store and see what they have in. 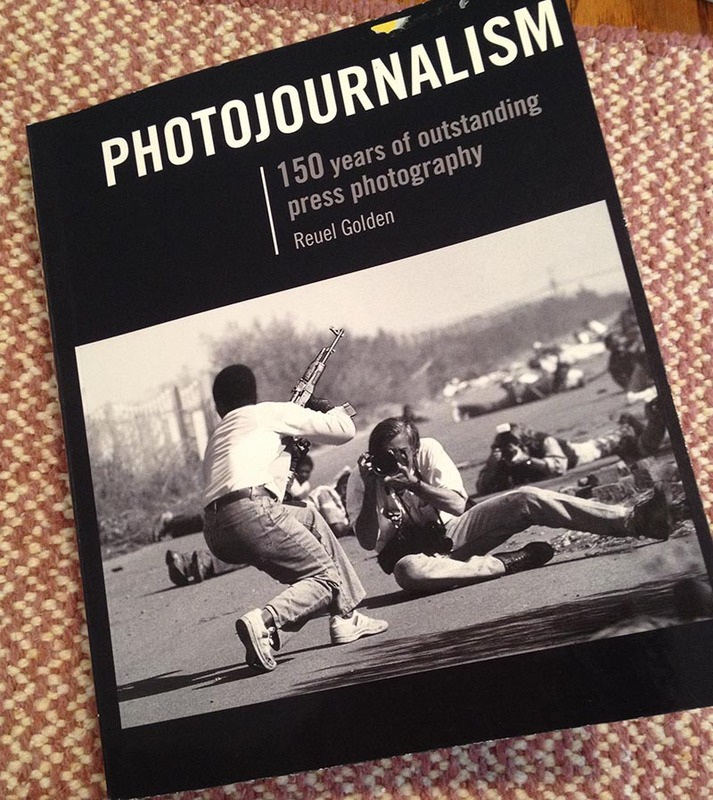 This weekend I stopped by and purchased "Photojournalism, 150 Years Of Outstanding Press Photography" by Reuel Golden. The cover photo alone was enough to get me to purchase the book. You see the 2 war photojournalist right in the middle of the action. I'm not sure war photojournalist can do this anymore, but I digress. I started to read the book and so far am intrigued by Rene Burri who took some of the iconic photos of Che Guevara, Margaret Bourke-White who was a controversial photojournalist who captured amazing images of Gandhi, and of course Robert Cappa who's photos of D-Day were riveting. Lots more to go.